Never mind how much silver Sprott Asset Management's Eric Sprott will sell next year, India's 1.1 billion strong makes Sprott's $10 billion enterprise look like a mom-and-pop coin dealer in comparison. Consider the dynamics of the soaring price of gold on a poor country and its tradition as the largest precious metals buyer, by far, of the world. As the price per ounce of gold as a percent of per capita PPP of India moved up sharply from 15.3 percent in 2001 (gold price low of $255 to India's $1,669 per capita PPP) to a whopping 39 percent (gold price $1,720 to $4,381 per capita PPP) estimated for the year 2011, Indian consumers have increasingly looked to silver as an alternative to gold. Though the demand for gold remains strong in India, as the country's gold imports reached 540 tons in the first half of 2011, up 21 percent year-over-year, according to the World Gold Council (WGC), silver imports are expected to rise faster. “India's fluctuating silver imports are likely to rise 50 percent year on year in October-December quarter as investors shy away from the expensive yellow metal,” according to India-based Economic Times. As an ounce of gold reaches nearly five months of a typical Indian's income, consumers have moved to silver as a metal to gift or store wealth. Silver, on the other hand, is coveted, though not nearly as much as gold, can be purchased at a 50 to 1 rate for the same amount of money. Because of India's strong religious and social customs that reach back thousands of years, precious metals will always be an integral component of Indian life. Precious metals are to India as stocks are to Americans, though one can easily argue that India's lust for gold and silver is much stronger than American's propensity for stocks. So how do Indians cope with the high price of gold? Substitution. Silver. "Both metals were in demand , but since silver is cheaper, people preferred buying it," Rajiv Gupta of Nagal Jewellers in Sadar Bazaar told Economic Times. Jewelers also report Indian consumers buying more coins, more silver and less jewelry this year. Inflation in India reached double-digits rates in 2011, and the people can feel it in the cost of food, energy and housing, turning to precious metals as a store of wealth—in addition to the gifting tradition. "Coins, especially of silver, are much in demand as people are buying precious metals not only as gifts but also as an investment," said Sandeep Gupta of PP Jewellers. The number of tons of silver reaching the shores of India is soaring—a grossly under-reported story in the precious metals community. Sure, the typical gold bug can cite WGC statistics for India, but what about silver's stealth advances in market share there? “India, the world's largest importer of silver, could import 250-300 tonnes (8.8 to 10.6 million ounces) of silver during the quarter, Prithviraj Kothari, president of the Bombay Bullion Association told Economic Times. And it gets worse for the COMEX. The latest steep drop in the silver price from nearly $50 to $34 per ounce has generated more demand for the white metal among Western investors. But in India, the demand for silver could accelerate more, as the consumer there doesn't need a silver guru to tell them it's time to buy. 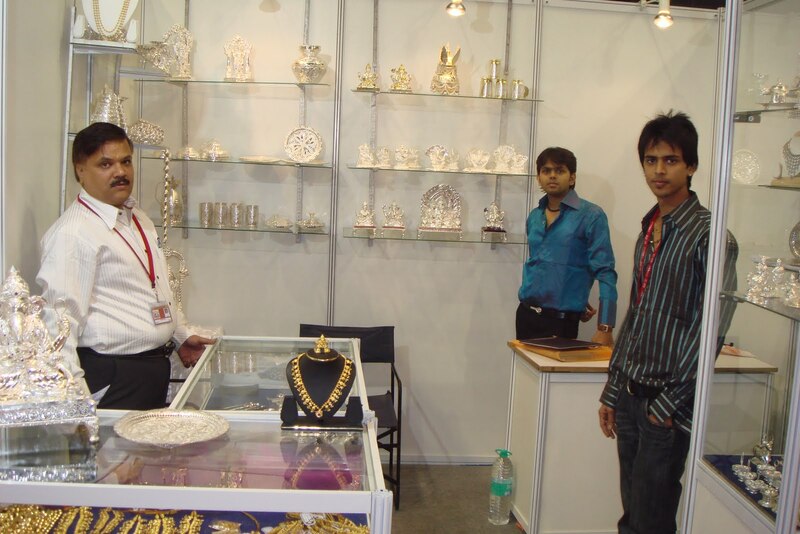 Harshad Ajmera, proprietor with Kolkata-based wholesaler, JJ Gold House, told Economic Times, "Silver prices are in a comfortable range and people are considering it as a buying opportunity." Those watching CPI and PPI data releases from the US Commerce Department as well as the drama in Europe's slow-motion financial collapse should affix at the top of the list of silver investor knowledge the silver imports and monthly CPI data in India. There's where the action truly is.